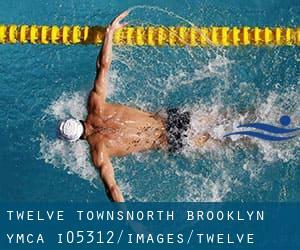 Twelve Towns/North Brooklyn YMCA is only one of all the swimming pools Swimia is providing you, and its information has been shared with us by a swimmer like you.Keep in mind you may now promote Twelve Towns/North Brooklyn YMCA by sharing this page with your friends, adding comments and linking to us. This sports center delivers 20 yards x 20 feet, 4 lanes, Indoors. For this Pool, only phone number is number here. Take the Cypress Hills St. Exit off the Jackie Robinson Pkwy. (formerly Interborough Pkwy. ), south to Jamaica Ave.
357 9th St. , Prospect Park , Brooklyn , NY , USA (Postal Code: 11215). This sports center provides 20 yards x 20 feet, 3 lanes, Indoors. For this Swimming Pool, only phone number is number here. 3300 Coney Island Ave , Brighton Beach , Brooklyn , NY , USA (Postal Code: 11235). Among all of the activities offered by the center, should you be considering swimming you will get pleasure from 25 yards, 4 lanes, Indoors. Just in case you want to get in touch with this Pool before dropping by, we only know the phone number. 1720 Sheepshead Bay Rd. #28 , Bensonhurst / Sheepshead Bay , Brooklyn , NY , USA (Postal Code: 11235). Swimmers like you reported 20 yards, Indoors. Unfortunately we do not have the email address of this Pool, but we can provide you with the phone number. 3495 Nostrand Avenue , Sheepshead Bay , Brooklyn , NY , USA (Postal Code: 11229). Among all the activities supplied by the center, if you are interested in swimming you can delight in 25 yards, 4 lanes, Indoors. If you need to contact this Pool, e-mail address and phone number are both number. 1251 Prospect Place , Crown Heights , Brooklyn , NY , USA (Postal Code: 11213). Swimmers like you reported 25 yards x 42 feet, 9 feet depth, Indoors. Unfortunately we do not have the email address of this Pool, but we can give you the phone number. 17 Eastern Pkwy. , Prospect Park , Brooklyn , NY , USA (Postal Code: 11238). Swimmers like you reported 25 yards x 25 feet, 4 lanes, Indoors. Unfortunately we do not have the email address of this Swimming Pool, but we can give you the phone number. 1555 Linden Blvd. , Brownsville , Brooklyn , NY , USA (Postal Code: 11212). Among all the activities offered by the center, for anyone who is interested in swimming you will enjoy 25 yards x 30 feet, 8 feet depth, Indoors. Just in case you would like to contact this Swimming Pool before dropping by, we only know the phone number.